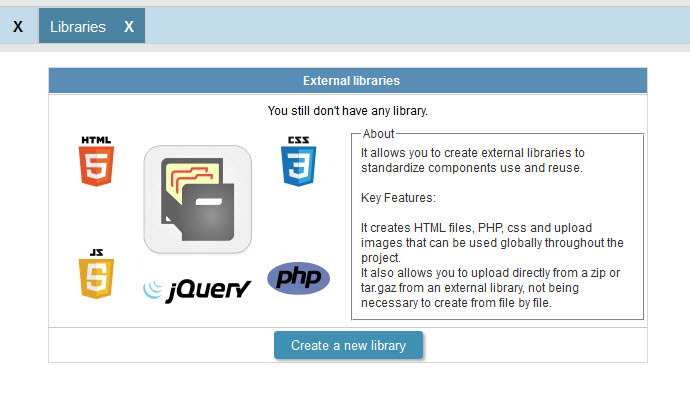 This features allows you to import complete libraries and create files from any extension(.JS, .CSS, .PHP...). These libraries can be used within your Scriptcase projects, facilitating code reuse. 2 - Click on Create a new library. 3 - In this step, we must inform the library name and select the level to create it. Public - Available for all projects within Scriptcase. Project - Available only for the project in which it was created. After the creation, the libraries will be listed as below. 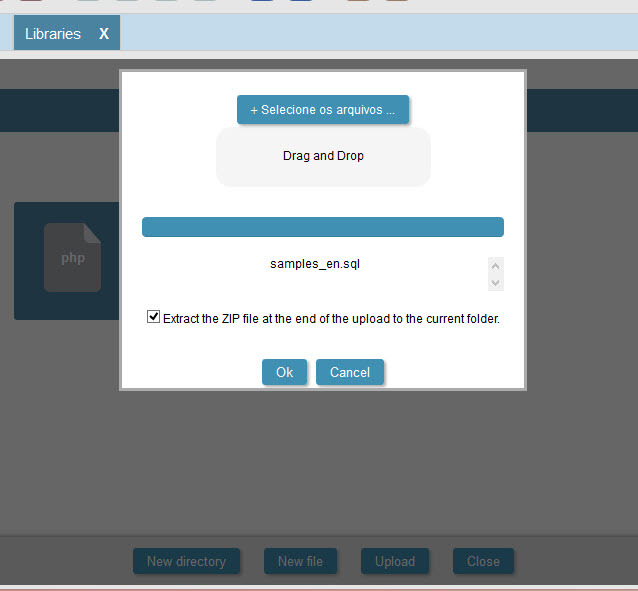 The Libraries management interface allows us to select which one will be part of the project, you can also create a new library or delete existing ones. Save the project libraries - Save the libraries selected to be used within the project. 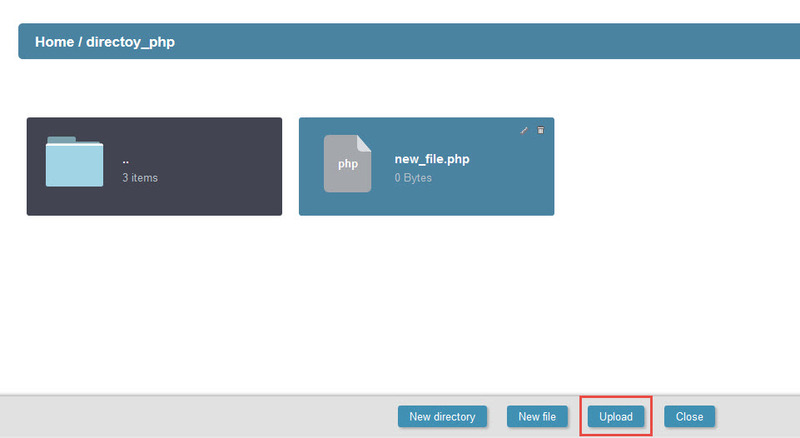 Edit - Allows the creation of upload files within the library. Rename - Rename the library. Delete - Deletes the library. 1 - Click edit, to open the library. 2 - You can create several extensions using this library, you can also create an architecture of folders in order to better organize your files. 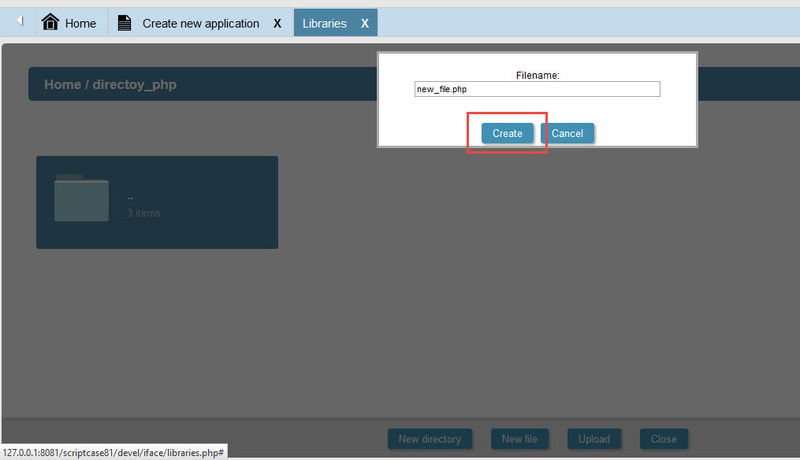 3 - To create a file or folder, simply enter a name. Note: It is not required to inform an extension for files. In this way, it is possible to upload complete libraries, that can be used within Scriptcase projects. 2 - File upload screen. Note - To upload the compressed files, first you must uncompress it inside the current folder. 3 - This is how we will see the files inside the library. The files are displayed with its extensions. After the whole process for libraries and its files creation, you should inform which libraries will be used in the project. For this we must check the library name and save the project libraries. 1 - Click to use or remove a library in the project. Then click on "Save the project libraries".